Check out these unique dryer balls. They're great for the environment and money-saving! And you could be the lucky winner of this set! The All Natural Dryer Ball Set. This set of six handmade pure wool dryer balls are special in several ways. They deliver the same benefits for laundry as conventional fabric softeners WITHOUT all the nasty chemicals. They save everyone a lot of money by eliminating the need to continuously spend on fabric softener liquid and sheets. They cut down on the time it takes to dry a typical load by at least 25% thereby saving everyone even more money and cutting down on fossil fuel usage. Finally, being as that they are handmade in the democratic republic of Nepal, they provide a steady source of income to the desperately needy women of that developing nation. For more information visit their Website, Connect with Woolzies on Facebook and Twitter. 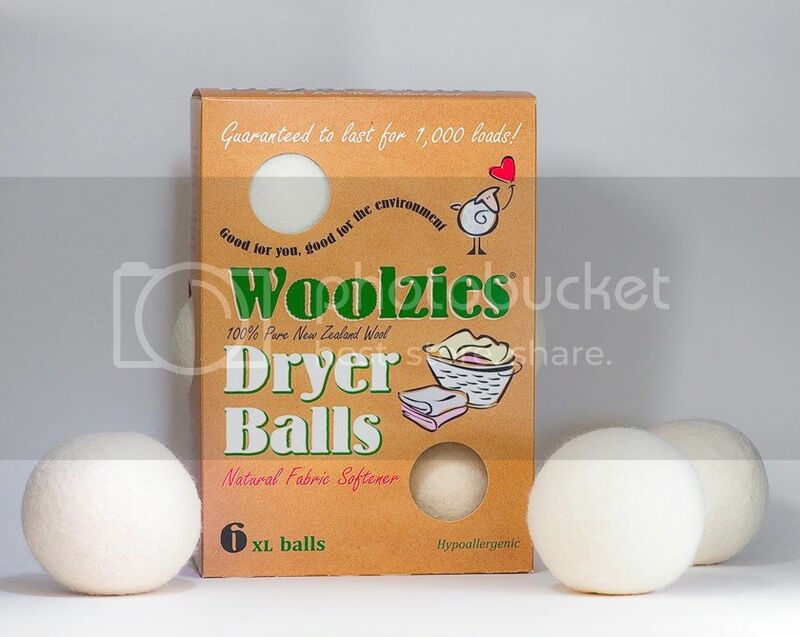 View the full Woolzies dryer balls review on Pea of Sweetness. Thank-you to our amazing co-hosts: Giveaway Gator , Couponing with Integrity, Mommy Lesson Plans, and Meg's Daily Bytes, Reviews and other Online Distractions and all of the awesome participating bloggers! About the Giveaway: This giveaway begins on 1/23 and ends on 2/6 at 11:59pm (times are EST) and is open Worldwide ages 18+. Please refer to the full terms and conditions in the Giveaway Tools. Disclosure: I received no compensation for this publication. My opinions are my own and may be different than yours. Cherished Handmade Treasures is not responsible for prize fulfillment. This Giveaway Tools is freaking out. I had over 30 Entries then all of a sudden it went back to 0. I went back to try to re-enter the ones I had already done and now I get an error message that I need to click on another link to confirm...i did that and it shows 0 entries for that entry submitted??? Do you see any of my entries? If so, I am going to just stop now, if you don't, well I guess I just wont have any chances of winning. I'm so sorry you've had so much trouble with this. I have contacted the contest host to let her know your concerns and see if there is something she can do. Again, my apologies! I learned they soften your clothes naturally. I learned that they will last for 1000 loads or they will give you your money back! That is promising!!! They sound wonderful. I really want to try them.